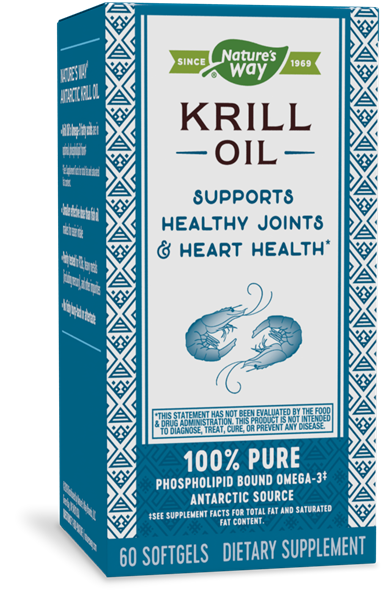 Supportive but not conclusive research shows that krill oil may help reduce the risk of coronary heart disease. Nature's Way® Krill Oil is produced from 100% pure Antarctic krill - one of nature's most abundant and rapidly renewable sources of omega-3 fatty acids and phospholipids. 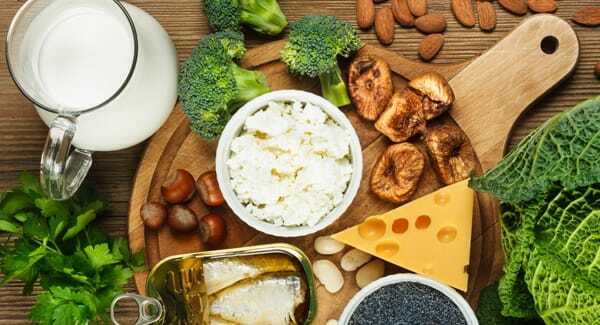 Helps reduce the risk of coronary heart disease: Supportive but not conclusive research shows that consumption of EPA and DHA omega-3 fatty acids may reduce the risk of coronary heart disease (see nutrition information for total fat and cholesterol content). Take 1 to 2 softgels daily, preferably with breakfast. For intensive use take 2 softgels twice daily (breakfast and lunch). If you are pregnant, nursing, have a seafood allergy, have a blood clotting disorder, or are taking blood thinning medication, or any other medications, consult a healthcare professional before use.